Yes. I know there is a giant piece of parsley in the middle of the photo. I got a little carried away with garnishing. Spray the inside of your slow cooker with nonstick spray. Whisk the milk, evaporated milk, eggs, butter and salt in the slow cooker. Add 3 c of the cheddar, macaroni and pepper and stir to combine. Sprinkle the top with parmesan. Switch to low for 1 1/2 hours. Add the additional cup of cheddar and gently mix in or just let melt on top. I like the parsley sprig! This recipe looks fantastic! I have never tried it in the slow cooker before! Thanks for sharing and have a lovely weekend lady! I guess it makes sense but I never considered making mac and cheese in the slow cooker. Why not-I'm going to give it a try! Pinned this recipe to try later. Sounds delicious, I've never tried it in a slow cooker! Mmmm your Mac and cheese looks delicious! I've never made it in a slow cooker, but I will have to try it sometime because it sounds great! Yum-o! I love it! 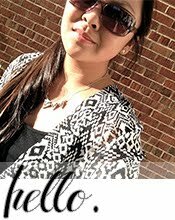 I found your cute blog on What Cha Whipped up! Looks SO good...my girls and I will be making this for dinner tomorrow night! 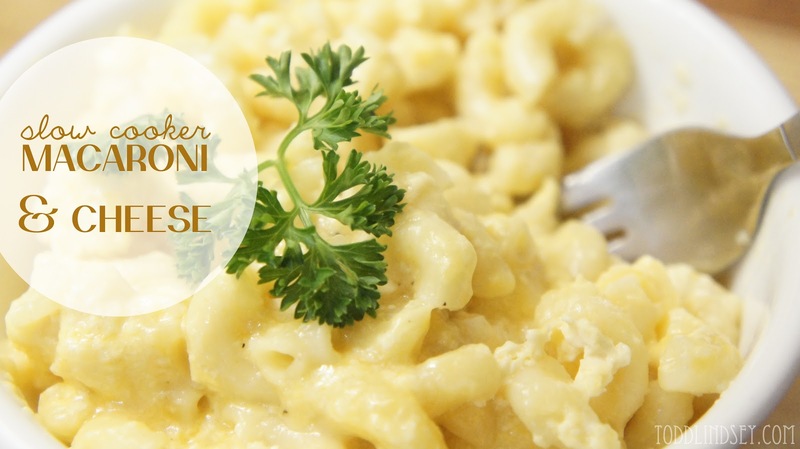 I love a good Mac and Cheese, but have to be honest and say I never thought of making it in the crock pot! Hmmmm.....I think I will have to give this a try. By the way - love the parsley! Thank you for linking up to the In and Out of the kitchen party! I look forward to seeing what you bring next week. All of the goodies on your sidebar are fantastic! I love all crock pot cooking! I did not know you could do Mac-N-Cheese however. I am going to try this soon. I would love to have you share it at my party, the Rock 'N Share going on now. Sounds yummy! I love my crock pot! Looks good! Thanks for sharing, new follower from the hop. please stop over when you can. Yummm.... tasty! I never thought you could make mac n' cheese in a slow cooker- you are very clever- nice job! Yum - the ultimate comfort food! I thought the parsley looked great!! I've made baked mac and cheese and stovetop, but never crockpot style, I love this idea, especially not having to make the roux (I'm lazy :) I would've thought the milk products might separate or something? Yours looks fantastic, I'm absolutely trying this!! Thanks so much for linking at Printabelle! I found your post on Weekend Re-treat. I've never made homemade mac and cheese but I'd love to may your recipe. This looks awesome! I just pinned it to try later.